Commercial sprinkler systems for fire suppression are literal life-saving tools. However, as with most pieces of equipment and machinery, these systems can have quirks and flaws. It is not out of the question that a fire suppression system accidentally discharges or goes off, resulting in flooding and potential damage. In this situation, it can be hard to decide what to do and what order to do it in. Therefore, to make things easy, follow the four steps below. Shut off the water supply to the system the moment you realize that there has been a misfire. A fast response here will help to limit the amount of outflow and the potential water damage. Do not be alarmed if it takes a moment for the water to cease; it has to evacuate the lines first. You will want to call your insurance company next to discuss the claims process and how to move forward. Calling your insurer immediately will mean that they can send an assessor out as soon as possible to assess any flooding damage, and to determine culpability. This assessment will determine who is responsible for the repair costs. When preparing to make a claim, you will want to mitigate further damage to ensure that the assessor does not deem you negligent. Most insurance providers require that action be taken to limit the extent of the damage. Therefore, you may want to focus on drying and removing any valuable items, like furniture and equipment, limiting exposure and possibly salvaging some items. 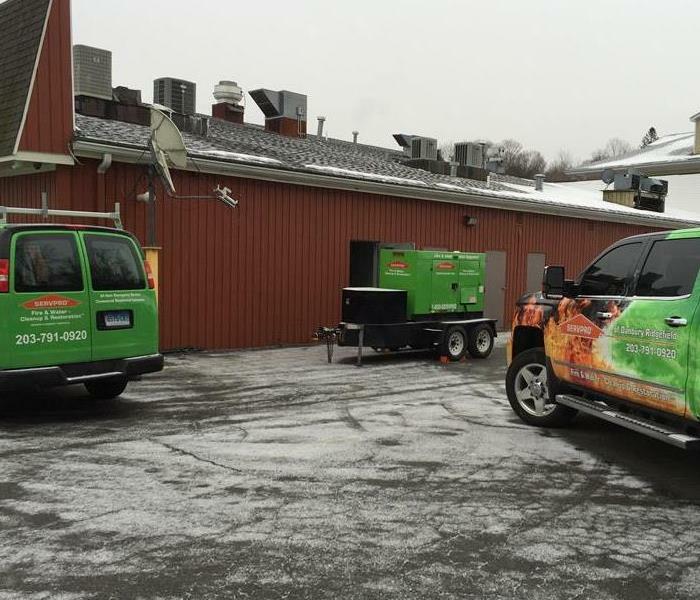 Call a restoration specialist in the Aqua Vista, CT, area to help you restore your facility. They will likely offer mitigation services as well. These companies are also likely a better choice than the DIY option because they are trained in disaster cleanup. 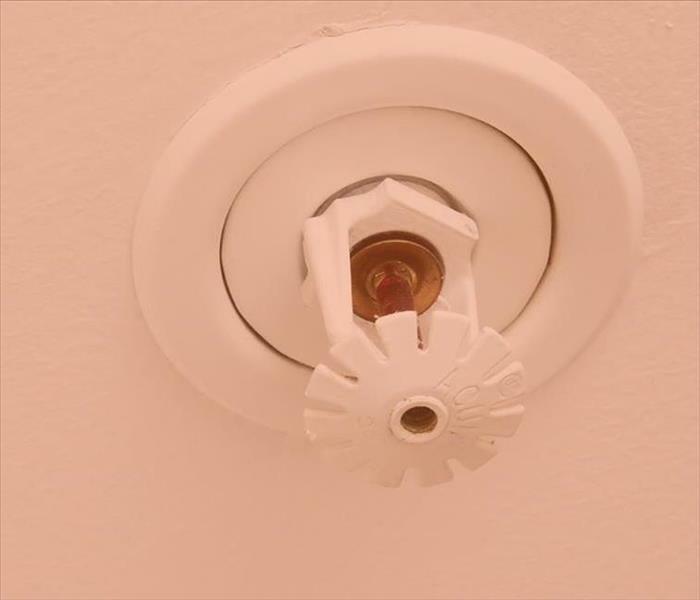 Fire sprinklers are a necessary piece of equipment for commercial buildings. While they are designed to operate under specific circumstances, like any machine, they can malfunction, causing flooding and property damage. If this happens, follow the steps above and hire a restoration company. 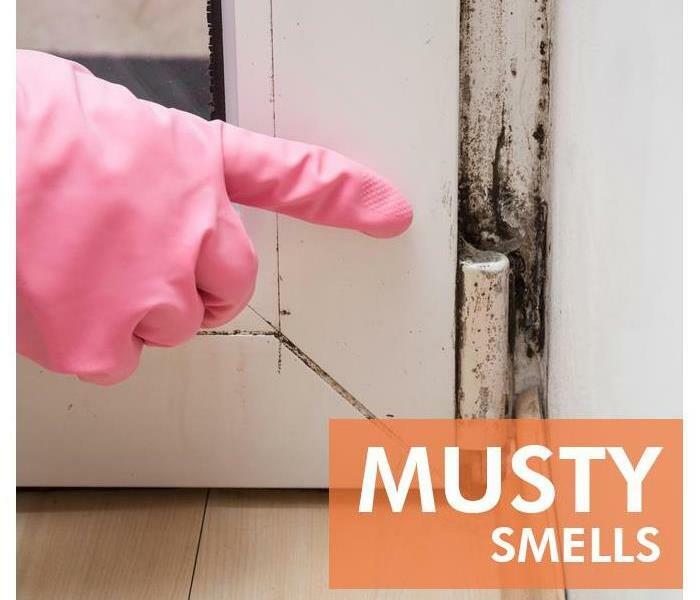 If you smell a strong musty odor in your home you may have a mold problem. The tell-tale musty odor that greets your nose when you walk through the front door of your business in Germantown, CT, may not be a welcome smell, but it can be an informative one. You may need more investigation to tell where the smell is coming from specifically so that you know whether you need wall replacement or HVAC cleaning. There are several ways to tell where your mold problem lies. Compare intensity of smell when unit is off and on. This may not be the most scientific method of checking for mold, but it can help you narrow the search for the offending fungus. Paying attention during routine HVAC cleaning can help identify potential problem areas. If you see condensation or pooling water around coils or drip pans, you can get the leak fixed before mold growth begins. It will also be pretty clear if mold has already developed in these areas. Look for fuzzy or slimy patches, and take pictures to document the problem for the specialists that come to fix it. The most accurate test of mold growth is a professional test from mold mitigation experts. These tests are superior to the ones you can purchase in the hardware store, because they can be used to determine not only that mold is present but how concentrated and what type of mold it is. Technicians usually test before remediation to see where the problem is located. Then, after removing damaged materials and cleaning vents, they will likely test again to make sure that the issue has been resolved. Pinpointing the exact location of your mold problem is essential to getting rid of it. Once discovered, a thorough HVAC cleaning by certified professionals can help get rid of the odor in your building. 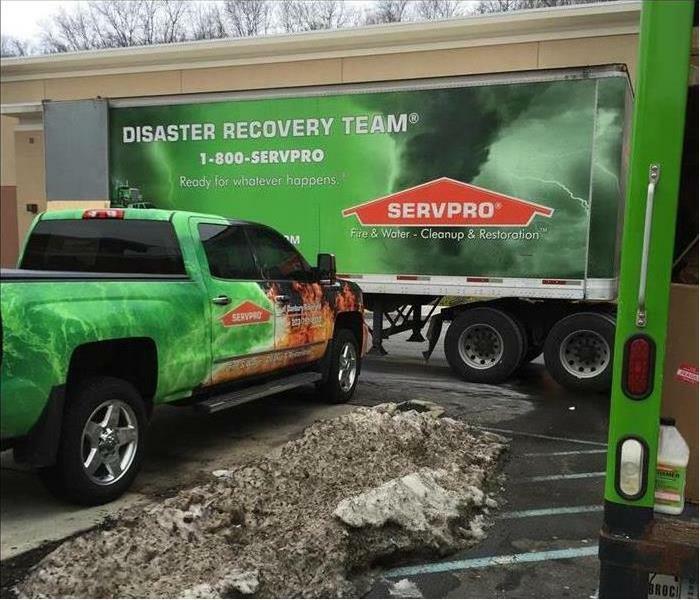 SERVPRO of Danbury/Ridgefield is prepared and has the experience to handle your disaster. When fire, flooding, and other disasters strike Redding Ridge, CT, and your business suffers, it can be difficult to know where to begin with cleanup efforts. You may wonder if you should kick off the process by calling your claim services company, but what do you tell them and what is the most effective way to report the damage? Working with an emergency disaster response team during the initial stages of cleanup may help you file your claim with more confidence, especially if you have never experienced an event like this before. When flooding and fires happen, they can cause damage in many different areas of your building. For example, high winds can destroy your roof, but a flood can ruin your building’s drywall. Calling in a disaster response team can get these damages filed under one complete report, eliminating the need to contact different professionals to assess each type of problem. An emergency response team typically includes a quick turnaround time as a hallmark of their services. This can also benefit you, as getting help right away may be useful in starting your insurance claim instead of having to wait for the claim services adjustor to show. 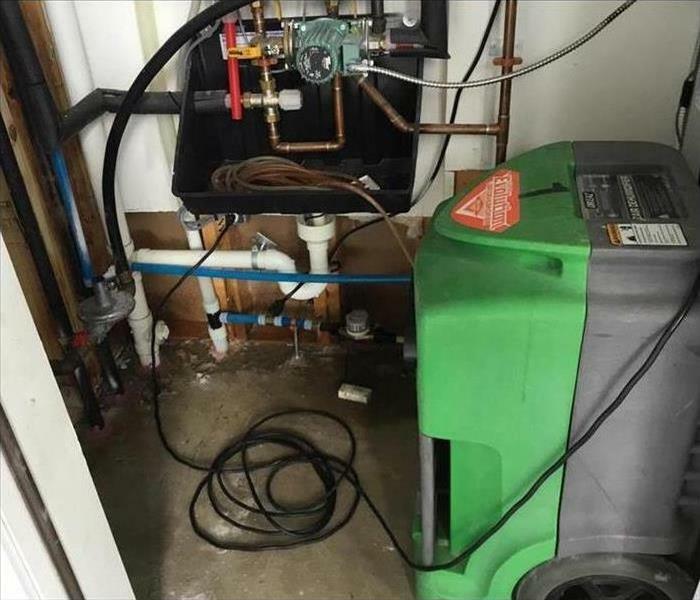 The response techs can also advise you about which areas you should photograph and which may be too dangerous to enter until they assess it, such as a room flooded by a sewer backup. Having to estimate damages before you file your claim can be stressful, especially if you are concerned about trouble you cannot see. An emergency response team like SERVPRO can create an itemized list once the techs complete their inspection, which may allow you to file with more confidence. As a Redding Ridge, CT, business owner, working with insurance claim services can be stressful in the aftermath of a natural disaster. However, when you have an emergency disaster response team in your corner, the path to recovery may be easier to travel. Plumbing lines allow convenient access to water in your home. However, a variety of situations can leave your pipes susceptible to damage, increasing the risk of potentially destructive leaks. Fortunately, there are several measures you can take to safeguard your residence with water damage repair services. 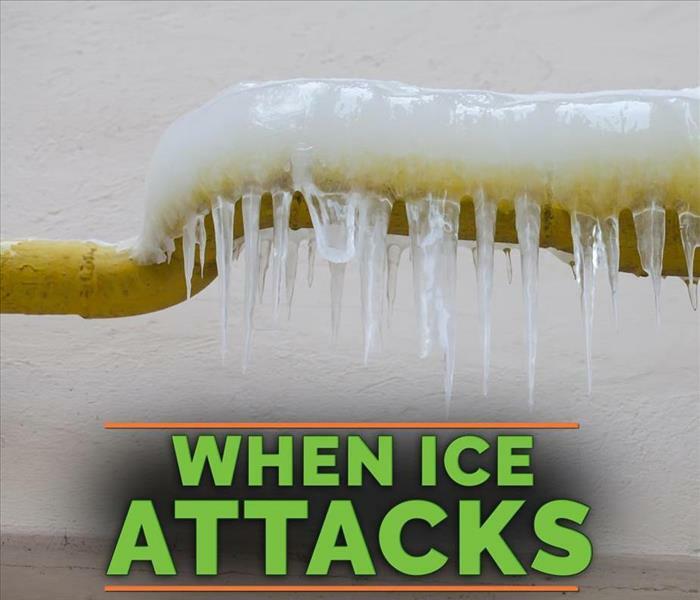 Frigid winter temperatures can wreak havoc on pipes. Supply lines located in uninsulated rooms or adjacent to exterior walls may be particularly prone to freezing and bursts. To minimize the risk of a broken pipe, you should insulate exposed plumbing structures in your garage, basement and other cold zones inside your residence. You can also circulate warmer air around bathroom and kitchen pipes by opening cabinet doors. Water in your home flows to numerous appliances as well as bathroom and kitchen fixtures. Over time, connections can loosen, and supply lines can crack. To help prevent extensive water damage and mold contamination, you should routinely check under your dishwasher and around your washing machine and refrigerator for pooled fluid or dampness and promptly commence any necessary repairs. You should also regularly inspect around toilets and under kitchen and bathroom sinks. Clogs are a frustrating plumbing issue that can sometimes be difficult to clear. While it may be tempting to use a chemical solution to perform a pipe cleanup, drain cleaners can corrode or warp both metal and plastic tubes, making them vulnerable to cracks and leaks. To safeguard your home’s water lines, you should use a safer alternative to clear obstructions, such as an auger snake or a plunger. Like most homeowners in Danbury, CT, you may rarely worry about a broken pipe and unexpected water in your home. Seepage from damaged lines can, however, cause extensive destruction. Taking proactive steps can help you protect your home’s plumbing infrastructure and avoid a messy cleanup. 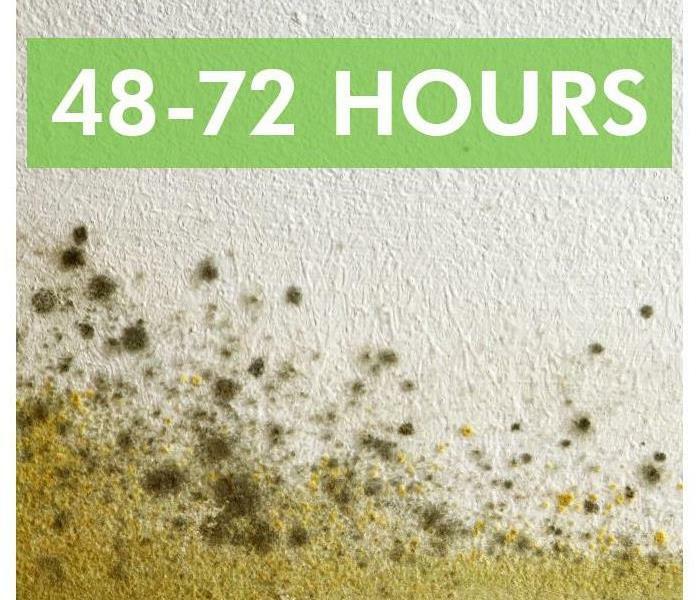 Mold growth only takes 48-72 hours. A leaking swamp cooler can cause a number of problems. In addition to wasting resources and being generally unsightly, the most significant issue that this excess water can cause is mold. There are several areas within the evaporative cooler that require moisture to work effectively, so it's important to be extra vigilant about maintenance in order to prevent a mold problem in the apparatus and, by extension, in your home. If you have a leak, you must have it fixed as soon as possible. Once the problem exists, mold can start to grow within 24 hours. A leak in one part of your evaporative cooler can lead to mold anywhere. A mold problem resulting from a leaking swamp cooler must be fixed by mold remediation specialists. They have the tools to test for mold to find out exactly where it is. They can locate and isolate the problem so that it doesn't spread throughout your home. If it has already spread, you will also need them to address that mold issue as well. Controlling humidity is essential for controlling mold. Since the swamp cooler in your home in Danbury, CT, requires a certain amount of internal humidity to function, it is important to make sure that you stay on top of maintenance. Each month the cooler is in use, check the pads to make sure they are clean. Use open windows and ceiling fans to circulate air. Winterize the swamp cooler when it's not in use by draining the water completely and disconnecting the water line. While water is an essential part of your swamp cooler's function, too much water can cause mold. Timely attention to a leaking swamp cooler and regular maintenance can help you avoid mold growth. SERVPRO teams are trained to work efficiently with homeowners and insurance representatives. When an emergency strikes in Danbury, CT you'll get help from many different professionals. These rescuers could come in the form of firefighters or emergency response teams. They may even show up in the form of your insurance adjuster. Whether your basement is full of flood water or you just escaped a kitchen fire, a representative from your insurance company may be the person with the most influence over how soon you get your life back to normal. After a fire, flood, or another disaster, contact your insurance adjuster as quickly as possible. Insurance companies offer many services in these situations. These professionals generally contact witnesses, the police, and emergency officials. Their work is primarily investigative but should result in a fair settlement for your insurance claim. Many adjusters have preferred fire and water clean-up companies with whom they like to work. SERVPRO is often recommended because of the company's history of working closely with insurance companies. SERVPRO teams are trained to work efficiently with homeowners and insurance representatives. Clean-up technicians arrive on the scene to give the homeowner reassurance, to prevent further damage, to report to adjusters, and to make a plan of action for the rest of the cleanup and recovery. These professionals often provide a 24-hour response, conduct loss assessments, and maintain complete files for the homeowner and insurance companies. From time to time, these cleanup and restoration crews will work with other service providers in the area. This willingness to coordinate means that best practices can be maintained, and insurance companies can keep a close eye on progress. When your life is put on hold because of fires or flooding, dealing with paperwork and claims can be frustrating. It helps when your Danbury, CT cleanup company and insurance adjuster are familiar with the other and able to cooperate efficiently. When powerful storms impact Redding,CT , they can cause a considerable amount of damage to your commercial property. Downed trees, broken branches and flooding can wreak havoc both inside and out and leave you needing professional help with cleanup efforts, such as tear out and water drainage services. Knowing what to expect before the restoration process begins can help you feel more confident about the outcome and the future of your business. 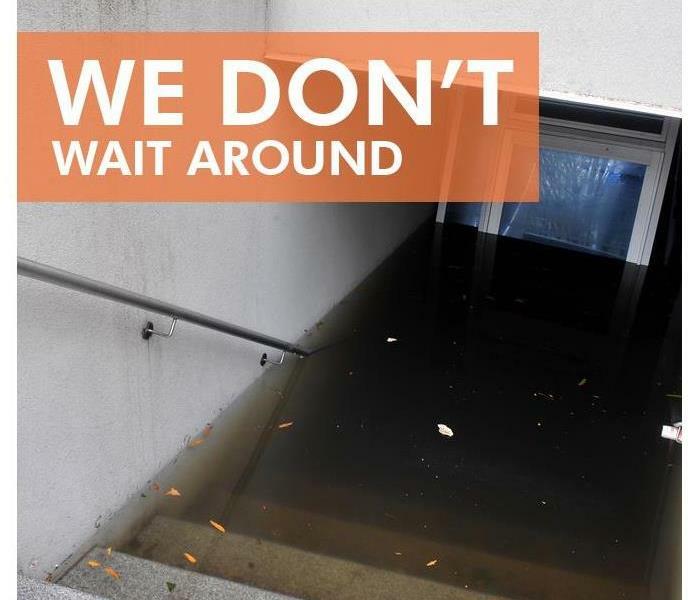 Violent rainstorms can cause localized flooding as creeks and streams overflow their banks and neighborhood sewers back up and overflow into your building. This can cause different types of water damage to your businesses’ building materials, particularly carpeting and drywall. When your remediation service arrives, the first step the technicians will likely take is to drain away the water to prevent mold growth and other types of long-term damage that can be difficult to remove. Once flood water is removed from your business, your storm restoration technicians will probably inspect affected areas to decide which walls and flooring will need tear out service. Removing porous building materials that have been soaked by dirty water can prevent them from weakening over time and trapping foul sewer and mildew odors. Your flood damage and restoration service may bring in tools to dry flooded areas before the technicians begin to replace damaged floors, walls and ceilings. Drying these areas thoroughly can prevent the development of mold, which thrives in damp, humid environments. Once exposed interior walls and floors are properly dried, your technicians will likely finish the job by restoring them and ensuring no trace of the flood remains. It can be difficult to know what kind of services you need when your Redding,CT , business is damaged by violent storms and flooding. From tear out services to water removal, talking to restoration professionals and understanding the process before they begin may give you greater peace of mind about the repairs. Parents should teach kids safety measures in case of a home fire. Here are several steps that can prepare children to safely evacuate a burning structure. It is a good idea to do home fire drills several times a year to teach kids safety measures. 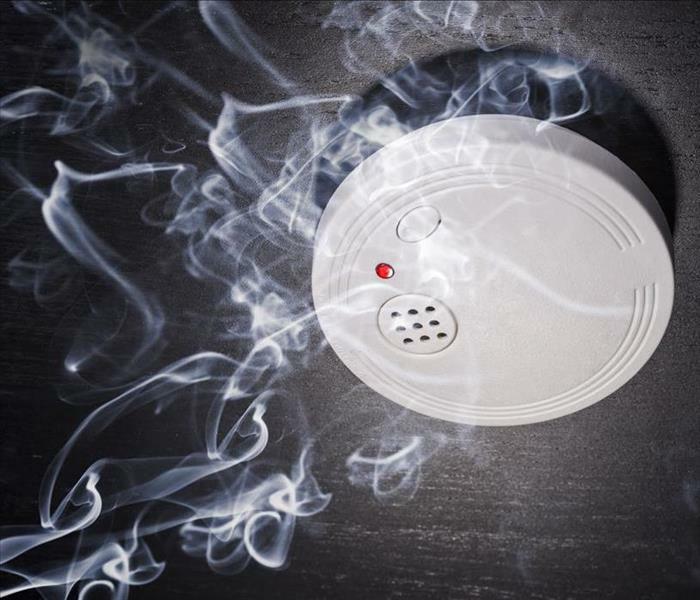 Develop a plan to increase family fire safety awareness. A fire safety strategy should include primary and secondary evacuation routes. Work with a simple floorplan or play a game in which kids find the fastest ways out of a house from each room. Determine which evacuation routes are best given the age and physical condition of all family members. Kids should know to go to this location and wait for other family members or help to arrive. Make reaching this location a part of regular fire drills. Parents may want to practice evacuation maneuvers such as bed rolls, fire crawls, and door temperature tests during fire drills or turn preparedness practice into games. Teaching kids safety measures is an important part of a family fire safety plan. If fire damages your home in Danbury,CT, rely on the expertise of mitigation and restoration specialists. A problem with mold and mildew in your Ridgefield, CT, home can be overwhelming. Tackling the problem on your own can cost a great deal of time and money, with no guarantee that the mold will be fully removed. Not only that, but it can be especially dangerous if a pathogen like black mold is involved. It's probably best to enlist the services of a professional mold remediation company. These professionals can employ specialized equipment and techniques to determine the sources and extent of the damage, and then make sure the problem is completely eradicated. Before they begin, they will make a thorough mold assessment by following the steps outlined below. Swab sampling is done to help determine where the fungal growth is coming from. First, the technician dips a sterile swab into a suspension solution, then wipes it along the areas suspected of harboring mold. The swab is then placed into a sterile container and sent to a lab to be analyzed. Using this technique, the mold experts draw in air with a testing device known as a bioaerosol air impactor, within which airborne particles are directed toward a collection surface. With this type of mold assessment, the different kinds of spores present in the air can be identified, and specific eradication agents can be effectively determined. This method of testing is used for assessing a record of molds that have been present in the house over time, since carpets can maintain a history of exposure to spores. Even though a carpet might be cleaned frequently, these spores can slip down beneath the piling, where they can remain dormant for years. Carpet sampling can therefore help to uncover hidden problems that might otherwise go undetected. The procedures outlined above should give you a good idea of the various ways a complete mold assessment is made. Having this knowledge is essential for a successful mold eradication process. 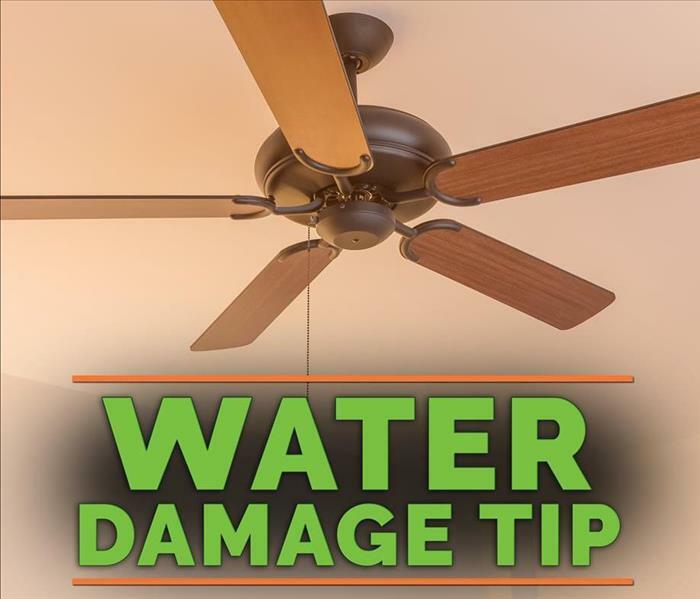 If water is dripping from overhead don't turn on light fixers or fans. If you notice that you have water dripping from a light fixture in your Danbury,CT home, you should take action immediately. Because water in light fixtures can be extremely dangerous, you should use caution when dealing with this problem. The following steps can help you to safely resolve the issue. The first thing you want to do in this situation is to turn off the electricity. Because electricity and water is a very dangerous combination, you want to make sure that the power in your home is off. The water in the light fixture could move electricity to other parts of the house and create a potential safety hazard for anyone who comes into contact with it. Use the service panel or breaker to turn off the power. Once the power has been turned off, you should try to figure out where the water is coming from. If the source of the water is a leaky pipe, you should turn off the water supply to stop the leak. If you allow the water to continue flowing, it could result in ceiling damage and create an even bigger problem. In order to repair and replace the light fixture, you should first contact a professional water damage specialist to fix the leak. Once the water has been removed and the leak has been repaired, you should have an electrician replace the light fixture. If you attempt to do the repair work yourself, you may end up making the problem worse and causing more damage or injuring yourself. Because water in a light fixture can be dangerous and can cause injury as well as damage to your house, you should be incredibly careful if you notice this problem in your home. Take every precaution and allow professionals to do the most important work.